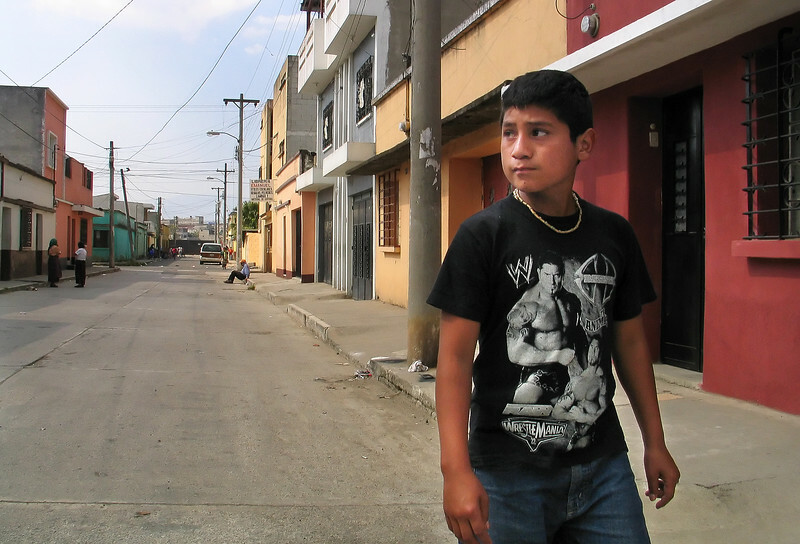 Santos Murcia, 13, walks through his neighborhood, which is near the garbage dump in Guatemala City, on Wednesday, January 24, 2007. Santos participates in Safe Passage's vocational program and wants to be a construction worker. The Safe Passage program helps kids stay off the streets of Guatemala City's poor neighborhoods, where gangs and drugs are rampant.